Your animals deserve the best and that doesn’t mean the same for all of your livestock. Since 1995, we’ve offered West-Central Florida’s best selection of top-quality hays. All G5 hays arrive fresh daily, imported from North America’s top hay-growing regions and grown by only top-producing farms. Our hays must meet our rigorous standards for color, smell, proper texture, and freshness. G5 also offers a daily hay menu that identifies each hay by a totally traceable number and ID code – allowing G5 customers to hand select their hays of choice. This supports our commitment to quality, which starts with the grower and continues through the time your purchases are loaded into your vehicle. 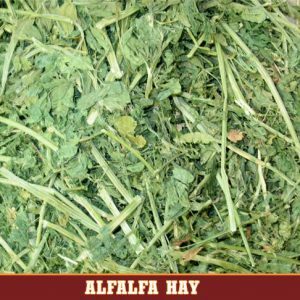 Sourcing and selling horse-quality hay has been a central part of the G5 business since its earliest days – Grass, Legume, Timothy, Alfalfa, blend, and even non-GMO selections. This is part of why we have been the preferred hay provider for area zoos, animal attractions, Walt Disney World®, Busch Gardens®, Sea World®, Ringling Brothers®, and destinations throughout the Caribbean. And we maintain that same level of quality for all of our West-Central Florida customers with every purchase.